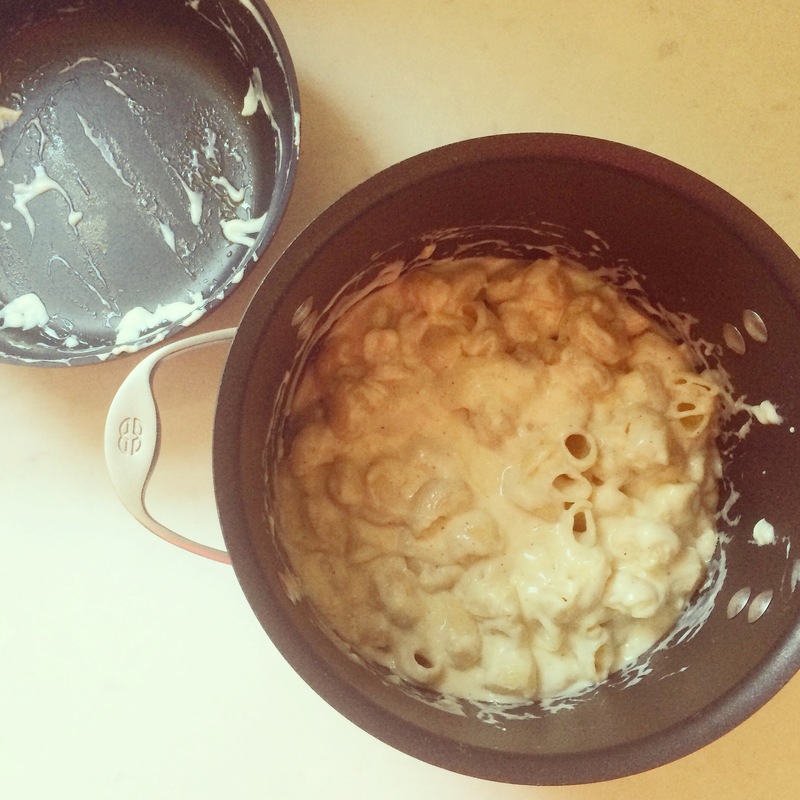 This post was originally supposed to be called “Mac and Cheese, Three Ways” – but it was getting so long that I cut it in half (stay tuned for Part Two tomorrow). 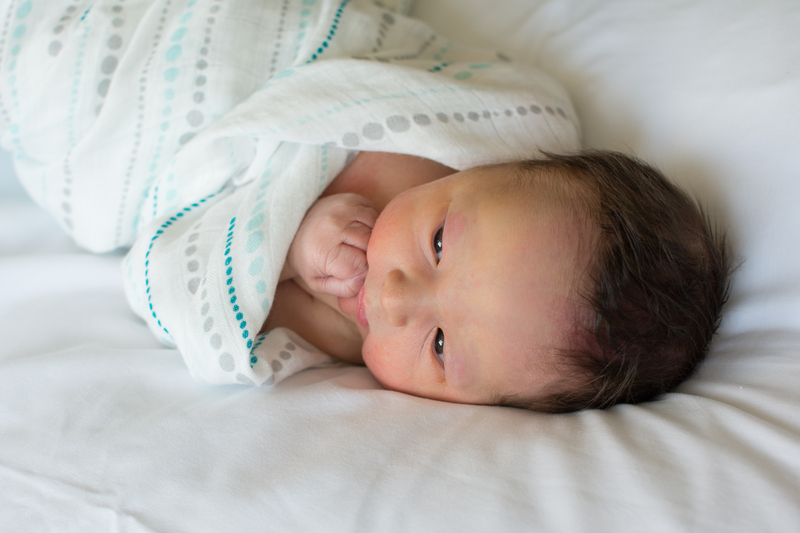 My sister and her husband had their first baby a couple months ago, and while I tried really hard to come up with some creative ideas for freezer meals, I had a difficult time getting past everyone’s favorite comfort food. 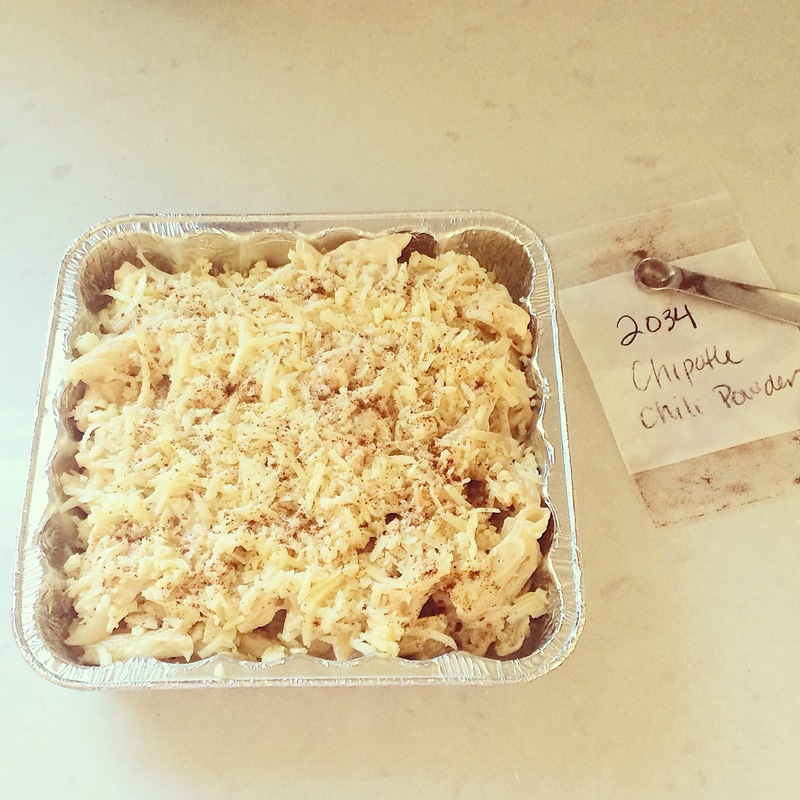 So I decided if I couldn’t be original, I would be excessive instead: I stocked their freezer with, among other things, three different macaroni and cheese casseroles for the first few post baby months (they may have only lasted a few weeks). Number three was the one I was most excited about (more on that tomorrow), but I decided to start with a Barefoot Contessa classic. 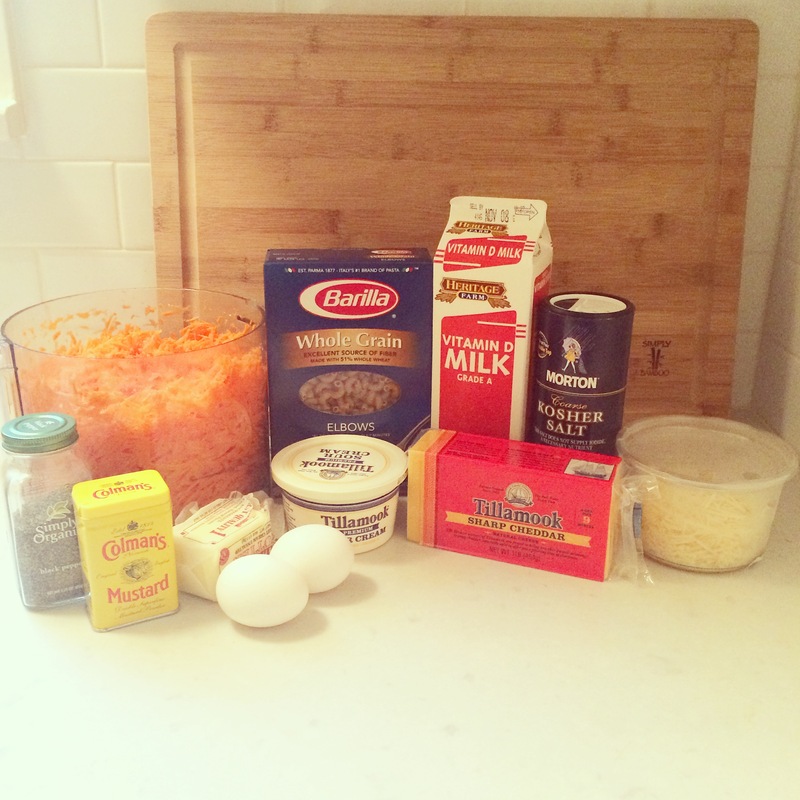 (Coincidentally, Ina’s new cookbook comes out today – it’s called “Make It Ahead” – and while I’m pretty excited about it, I’m not sure that there’s a better make ahead recipe than this mac and cheese). 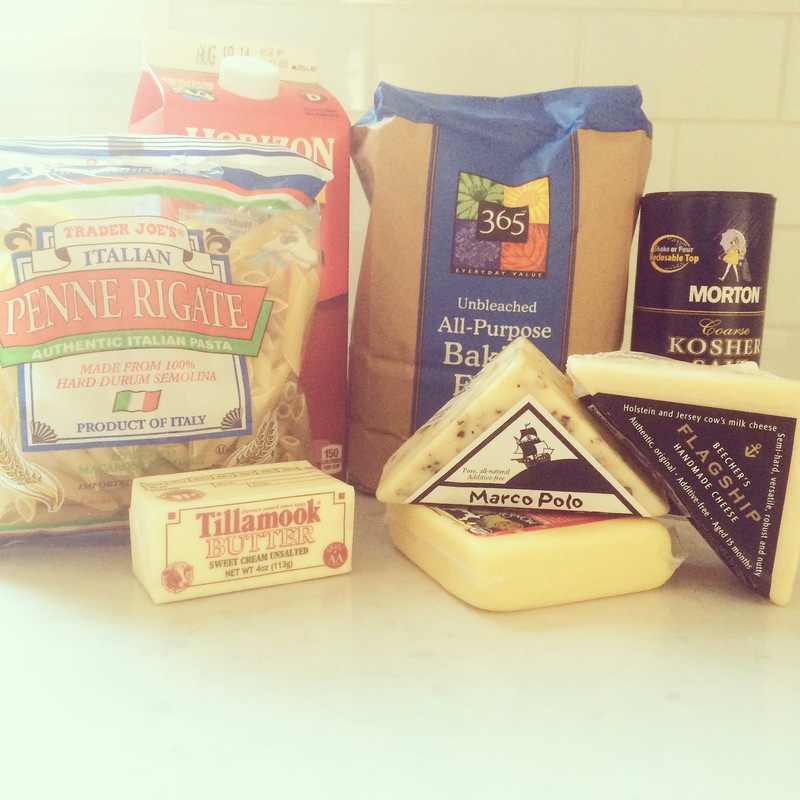 Much like last week’s lasagna, I’m not sure that macaroni and cheese is fancy enough to warrant it’s own blog post. 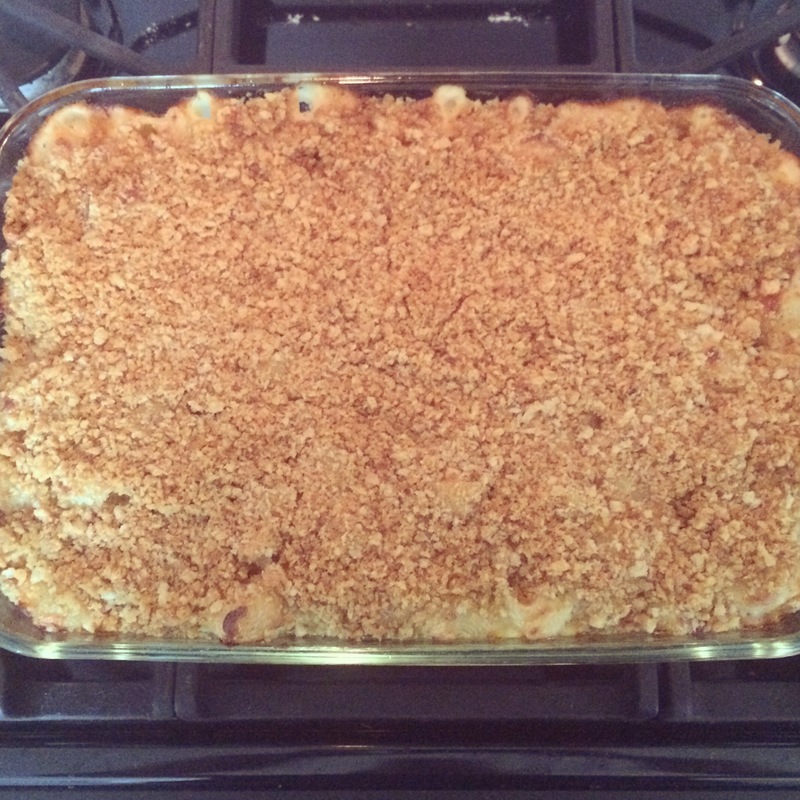 However, up until a couple years ago, my grandmother was the only person I knew of who made mac and cheese that wasn’t from a box (that list has now expanded to my grandmother, my friend Lindsay, and myself). 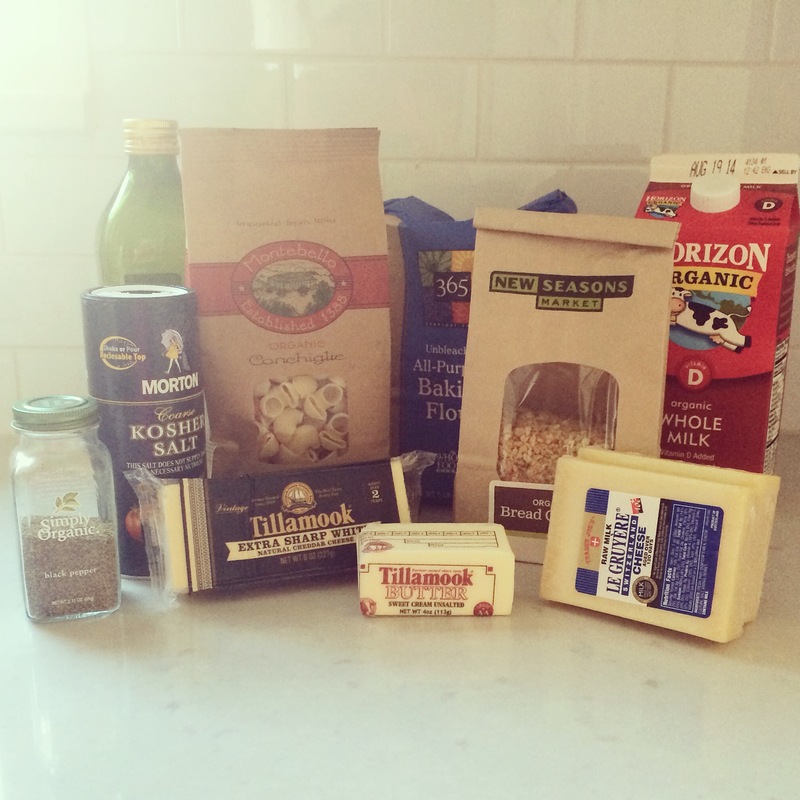 So I’m posting this relatively basic recipe in the hopes of inspiring those of you who haven’t yet realized how easy and delicious homemade mac and cheese can be. 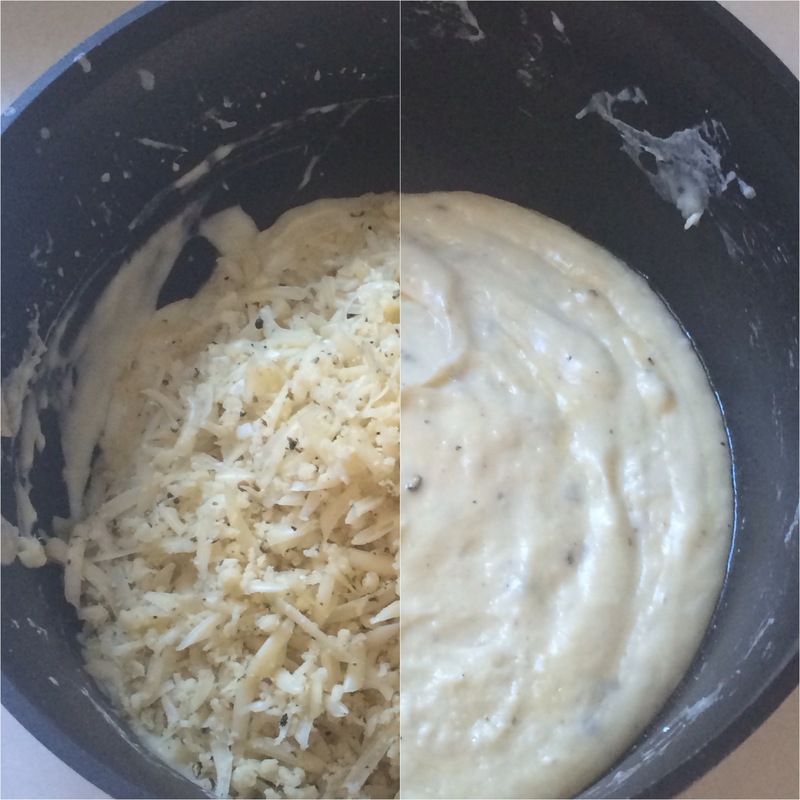 Don’t be intimidated by the béchamel – it used to really scare me, but it’s so easy. 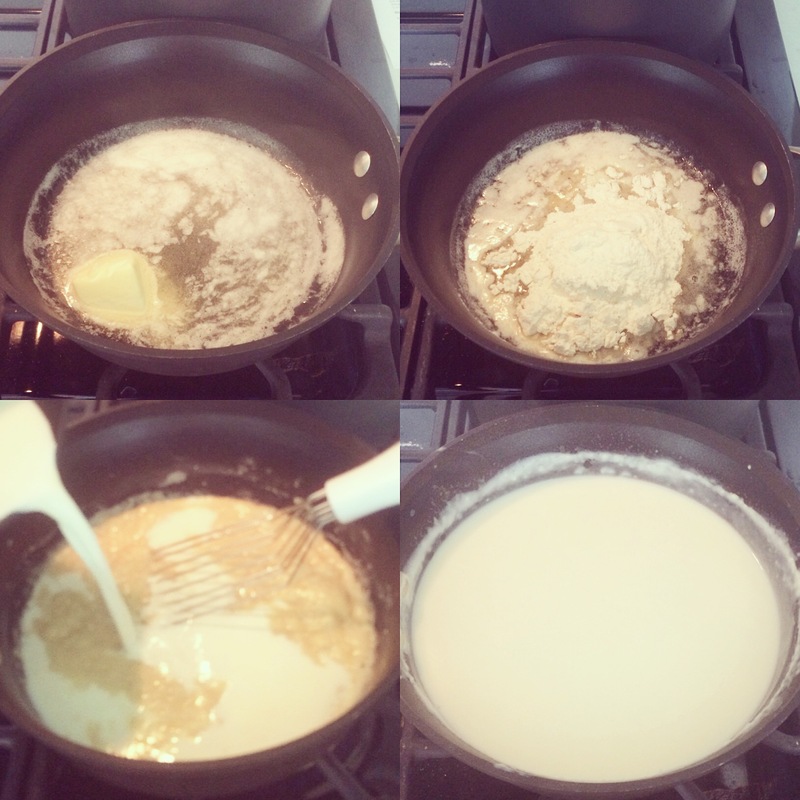 SImply melt your butter, add some flour, pour in the milk, and whisk whisk whisk. 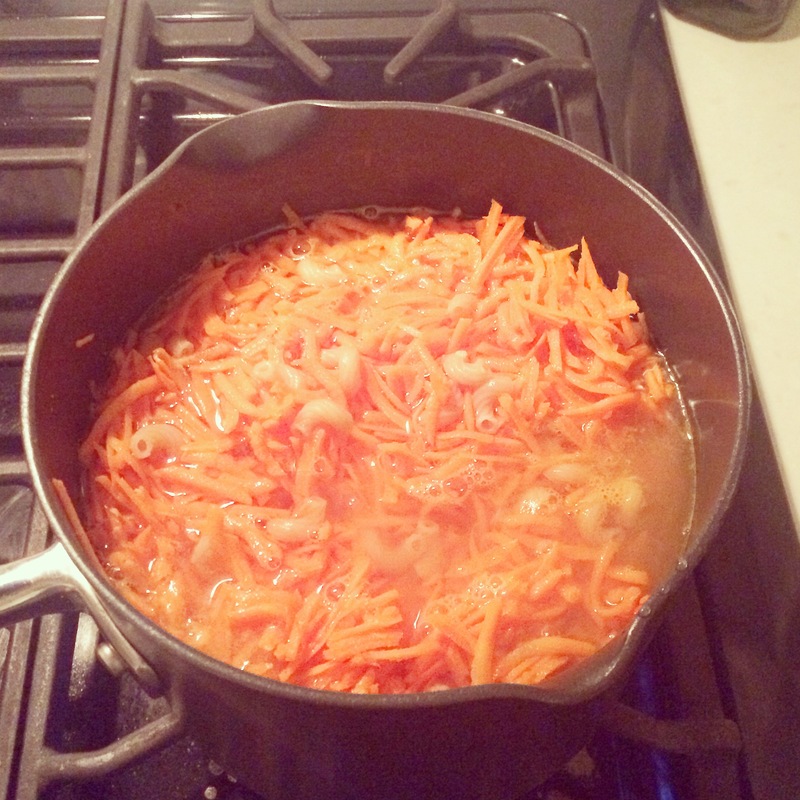 It will take a few minutes to thicken up, but once it does you’ll feel like Julia Child. Add salt and pepper, and nutmeg to taste – I usually add whatever the recipe calls for (because I’m a rule follower), but I know a lot of people don’t care for nutmeg in a dish like this so feel free to use less or none at all. 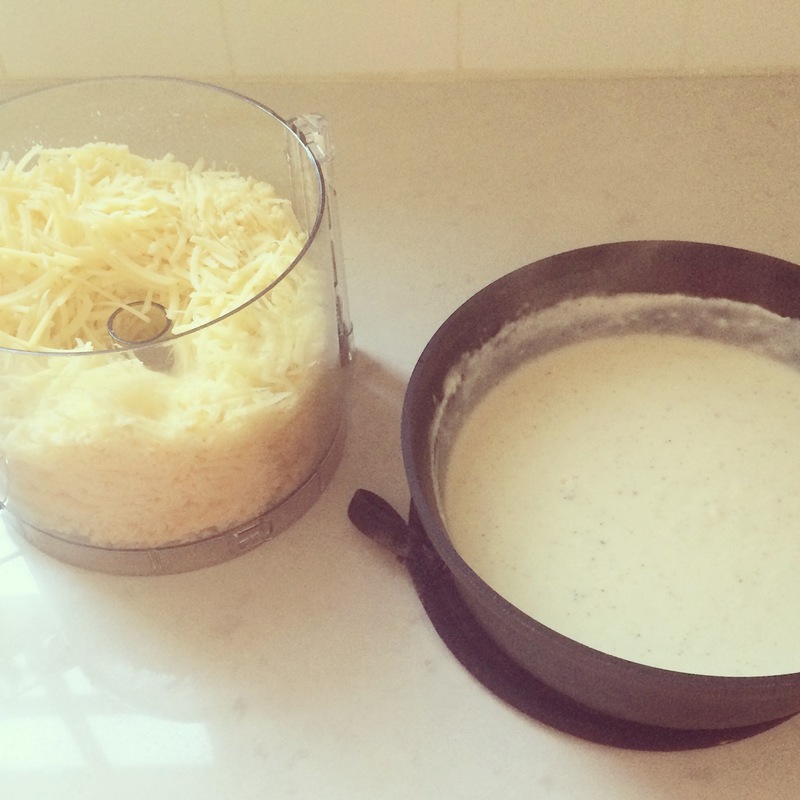 Add the cheese to the béchamel while it’s still hot and let it melt. 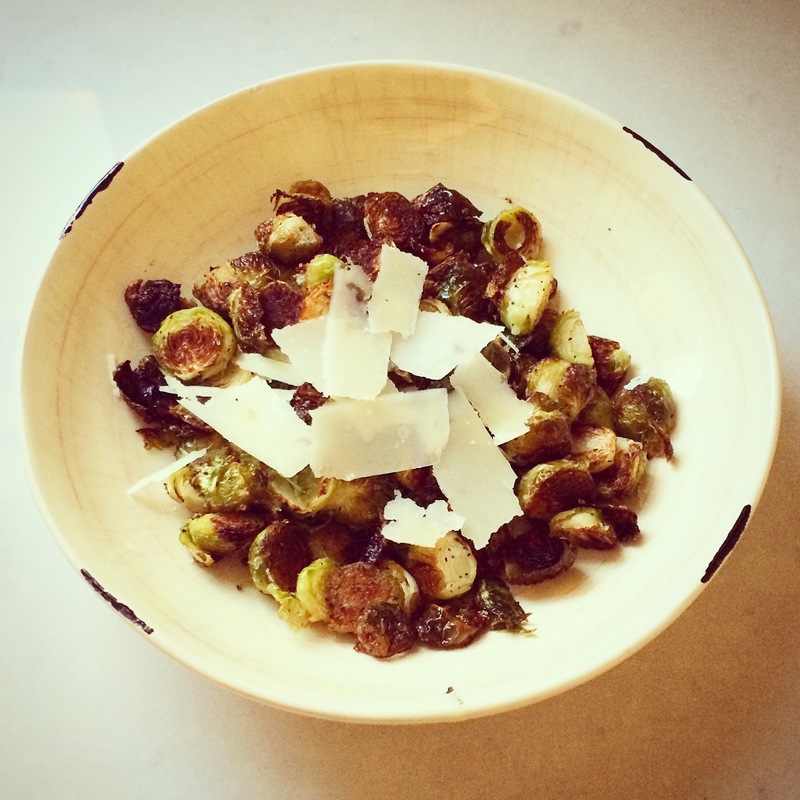 (If I could only give you one tip for making this recipe, it would be to buy your gruyère at Trader Joe’s – it’s literally half the price of any other store. 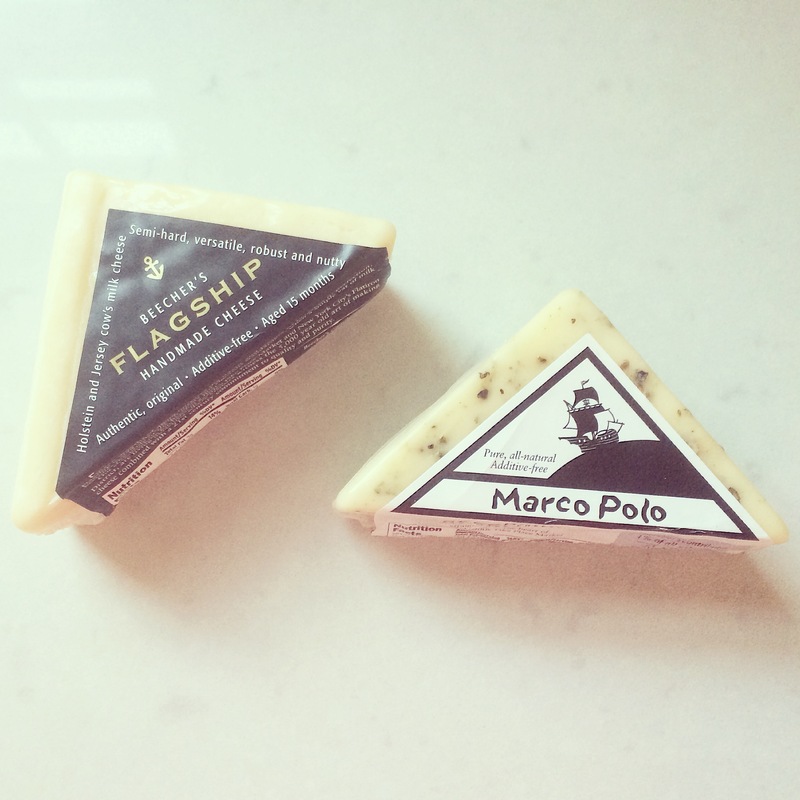 A second tip would be to use Tillamook extra sharp for your cheddar, yum.) 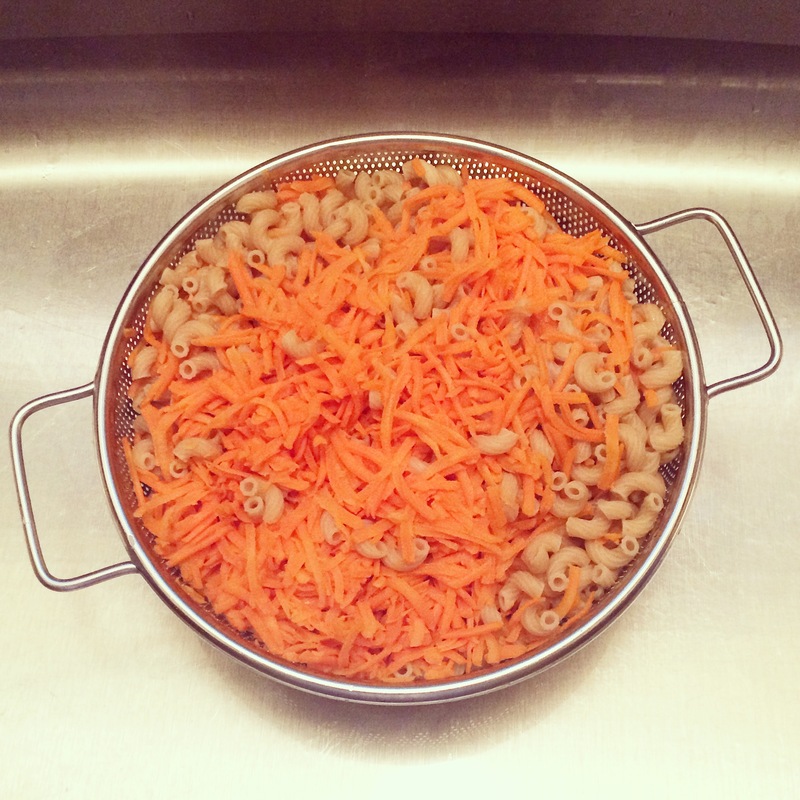 Combine pasta and sauce and scrape into your prepared baking dish. See, it’s really so simple. 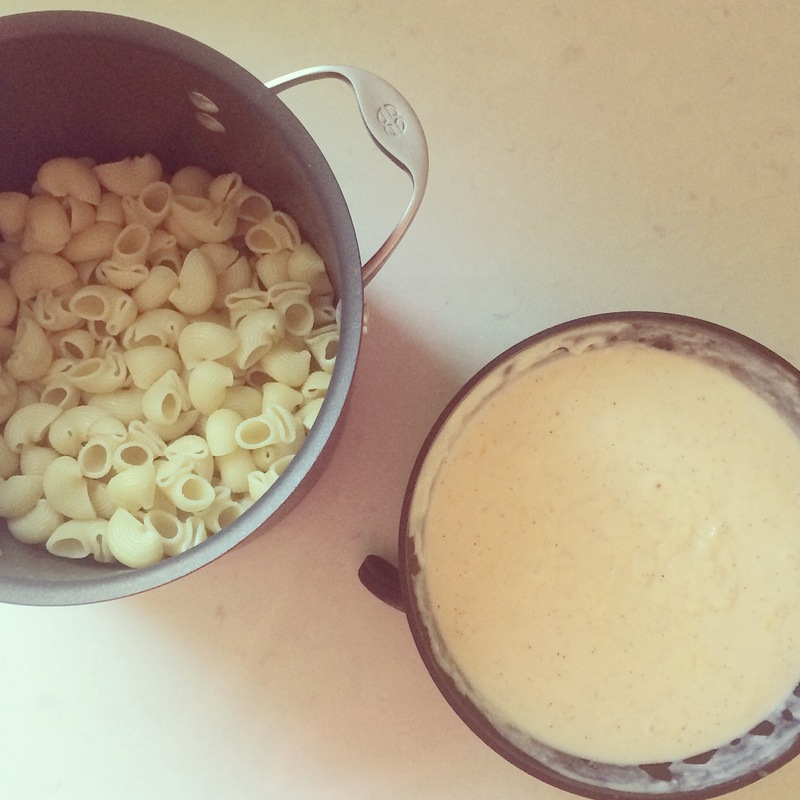 And so delicious – you’ll never make mac and cheese from a box again. Not that you ever did. 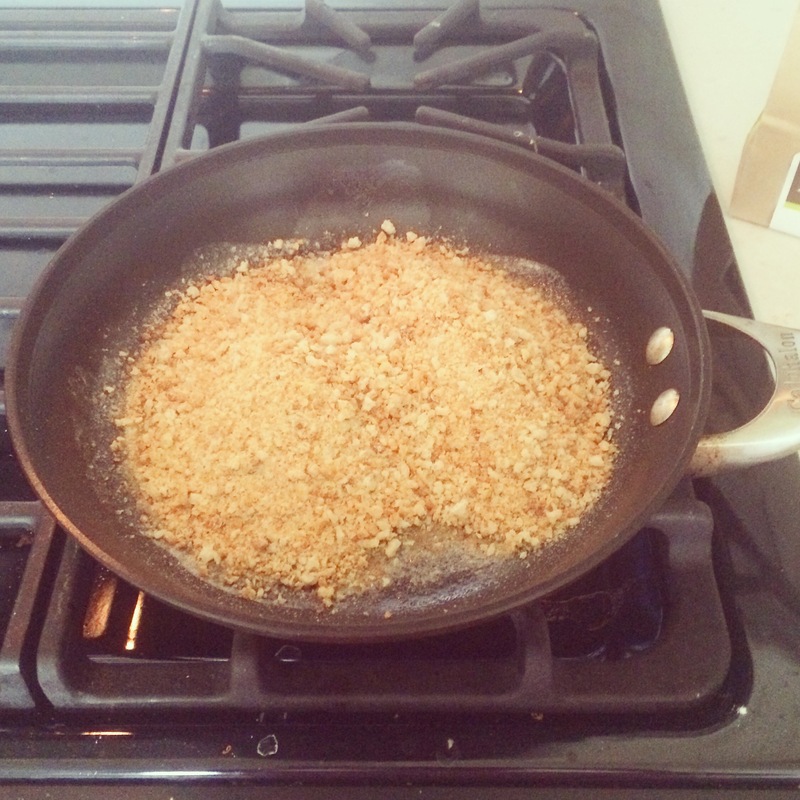 Ina wants you to make homemade bread crumbs – which are super easy, but I often don’t have bread on hand so I like to use good store bought breadcrumbs or panko. I like to toast mine on the stovetop beforehand (with a little olive oil or butter), but it’s not a necessary step by any means. If you want to make your breadcrumbs from scratch, cut the crusts off of five slices of bread (or a hunk of baguette) and process in the food processor until the pieces are the size of small crumbs (duh). 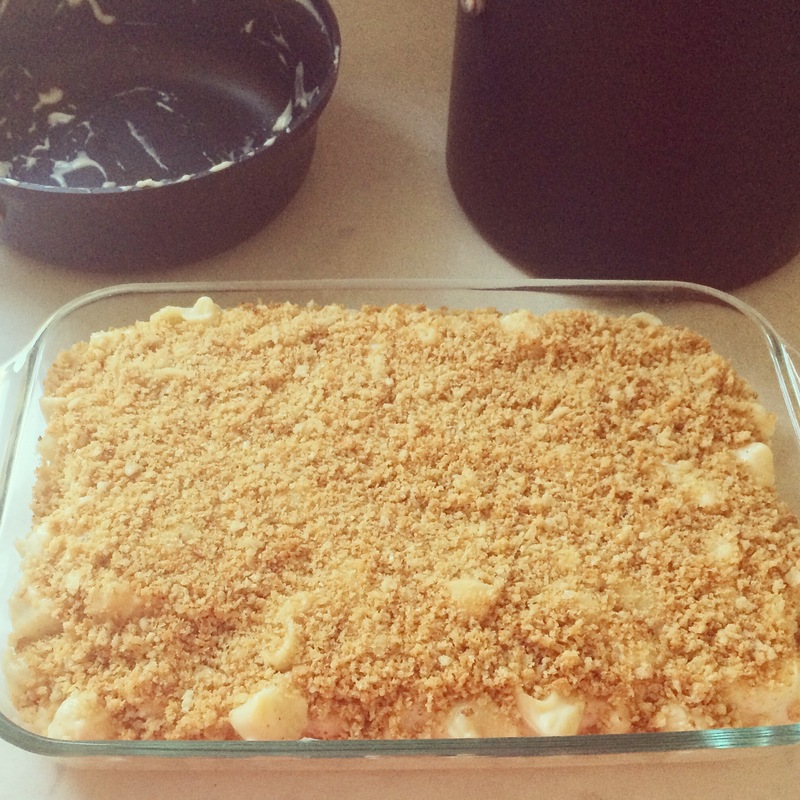 Mix the crumbs with melted butter and then sprinkle on top of the casserole before baking. 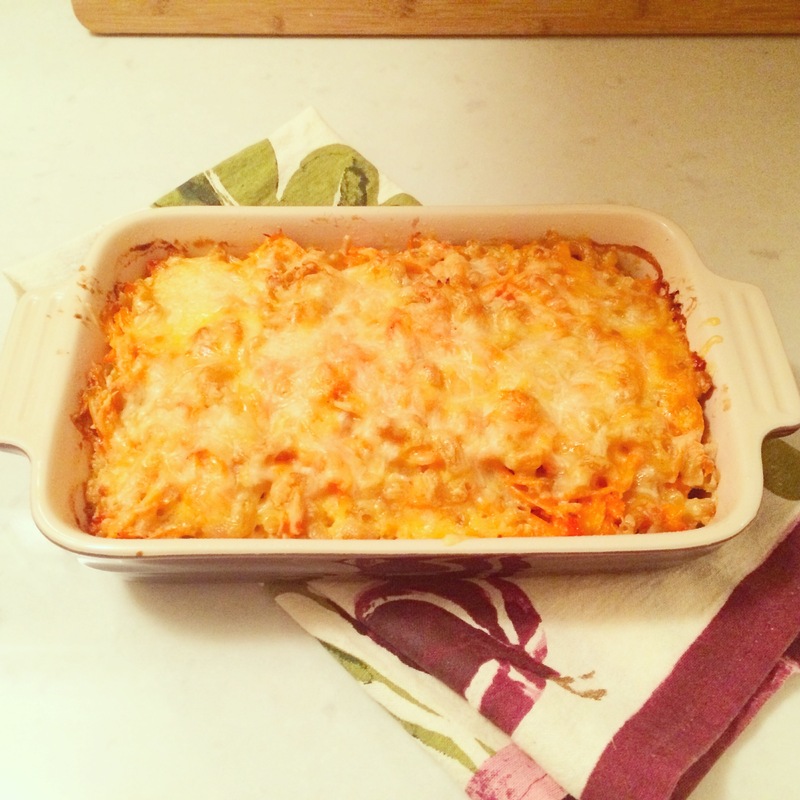 Casserole can be prepared ahead of time and then baked before serving, or baked and frozen for tired moms and dads to defrost and reheat as necessary. 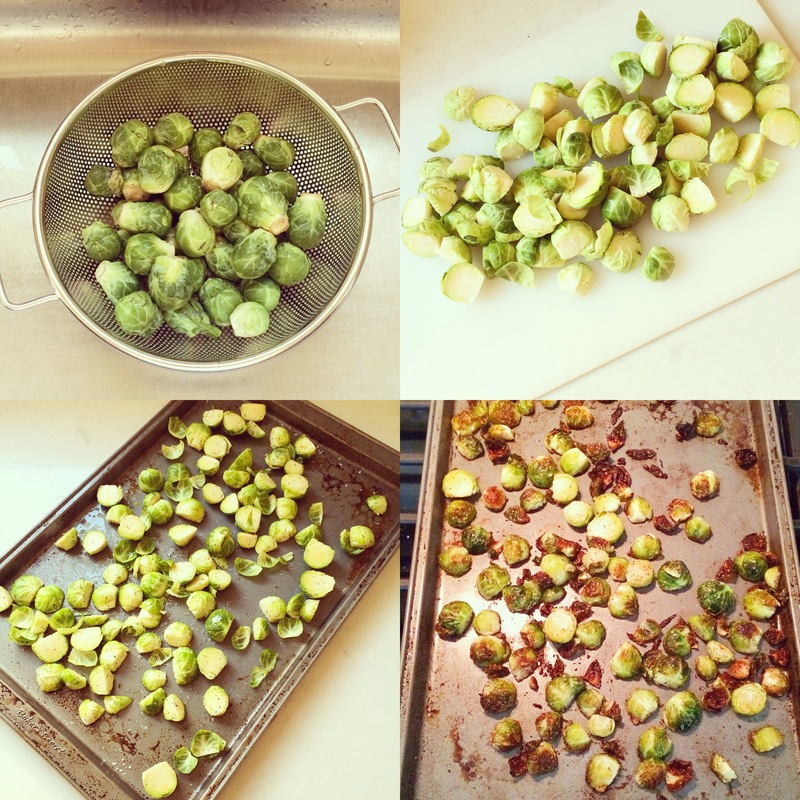 Preheat the oven to 375 degrees F. Drizzle olive oil into a large pot of boiling salted water. Add pasta and cook according to package directions (on the shorter side if they give you a range; you want the noodles al dente as they’ll continue to cook in the oven). Drain well. Meanwhile, heat the milk in a small saucepan (don’t let it come to a boil). 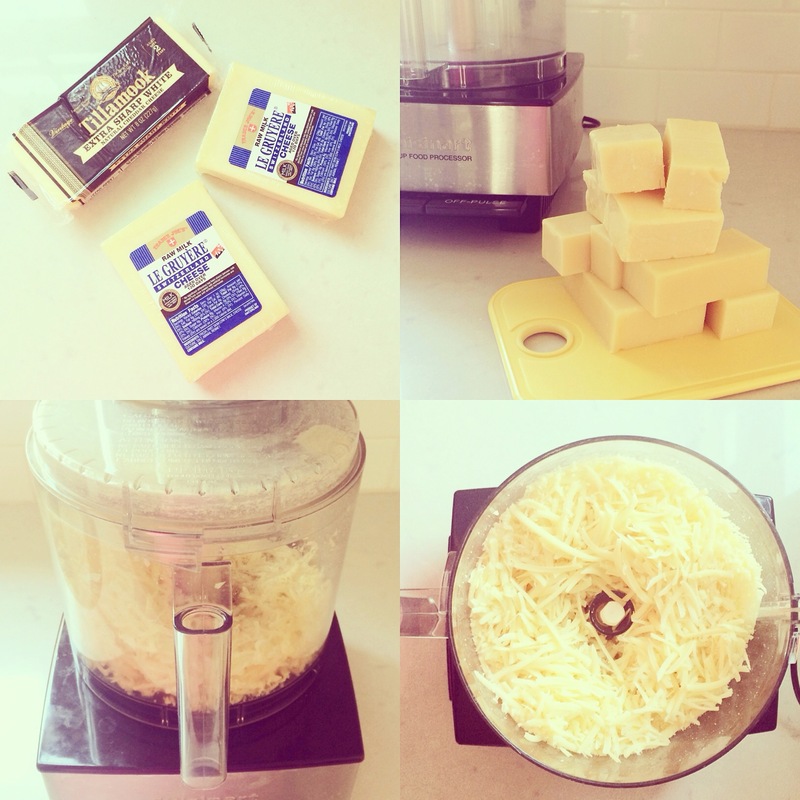 Melt 6 tablespoons of butter in a large (4 quart) pot and add the flour. Cook over low heat for 2 minutes, whisking constantly. 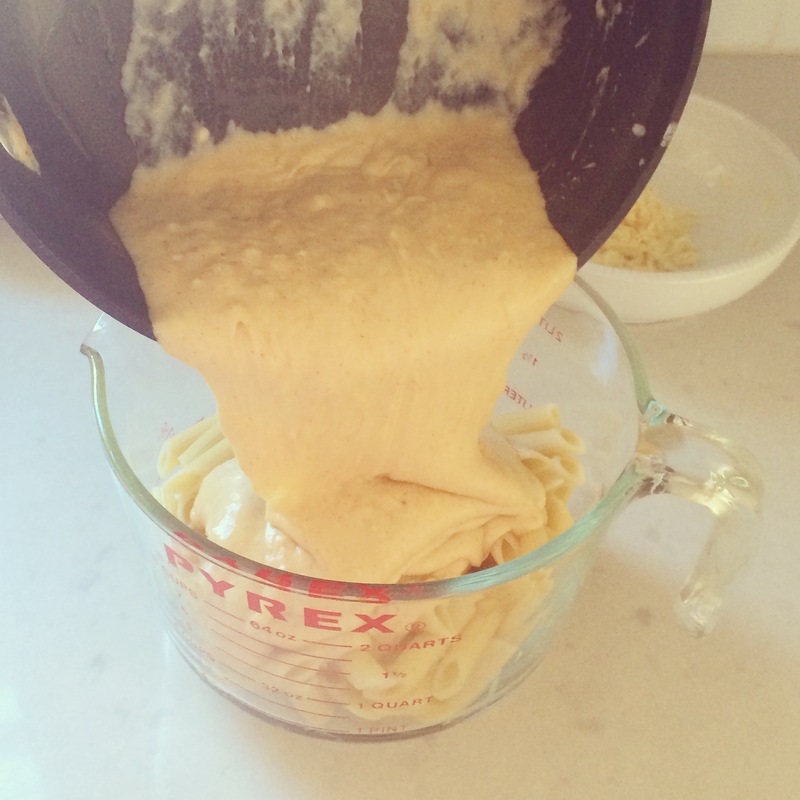 While whisking, add hot milk (slowly) and cook for a minute or two more, until thickened and smooth. 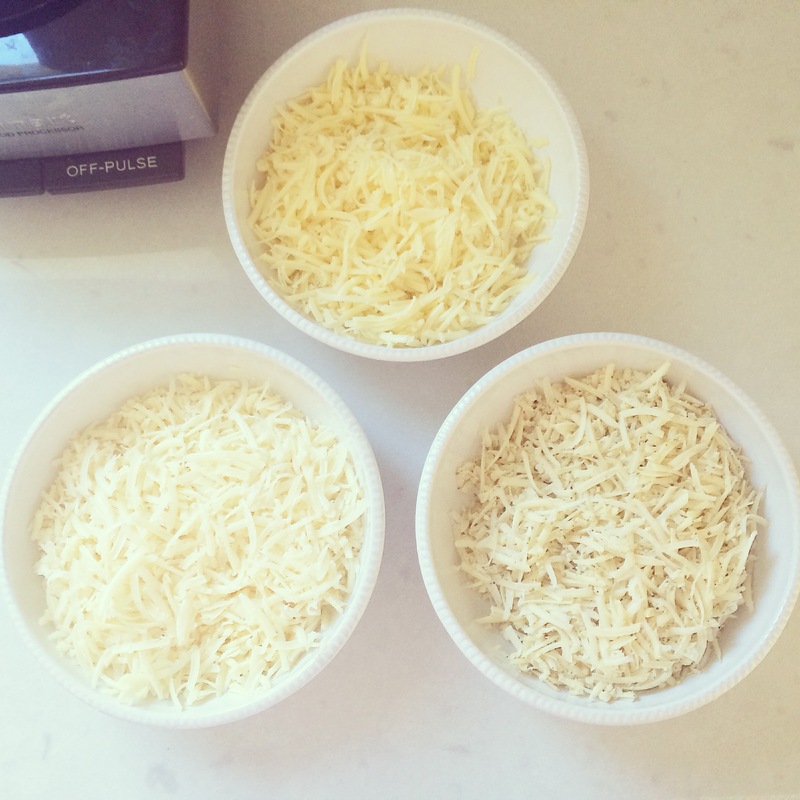 Off the heat, add the gruyère, cheddar, one tablespoon salt, pepper, and nutmeg. 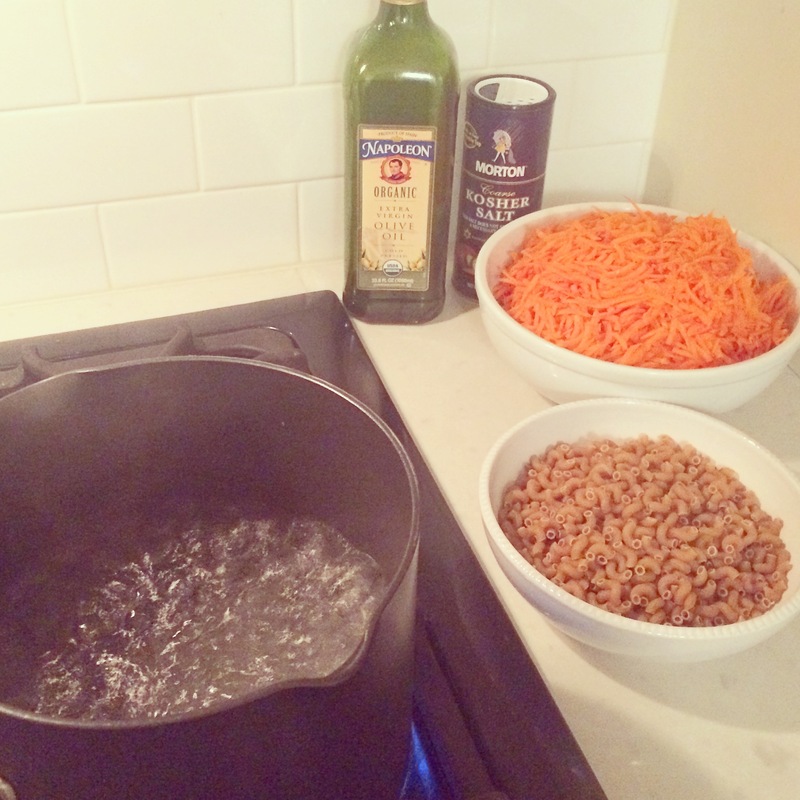 Add the cooked macaroni and stir well. 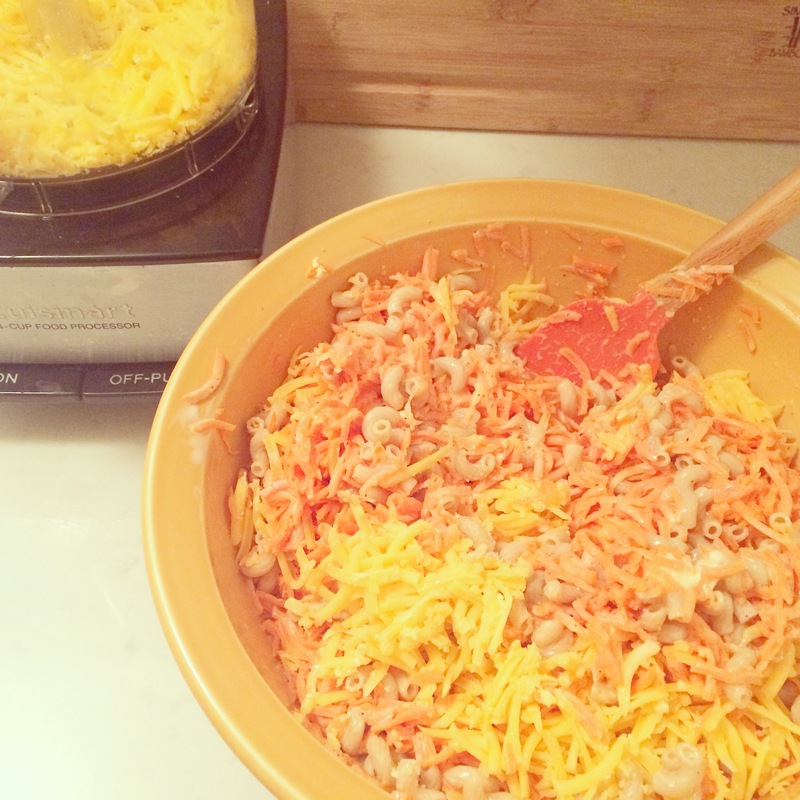 Pour into a 3-quart baking dish. Arrange sliced tomatoes on top of pasta (if using). 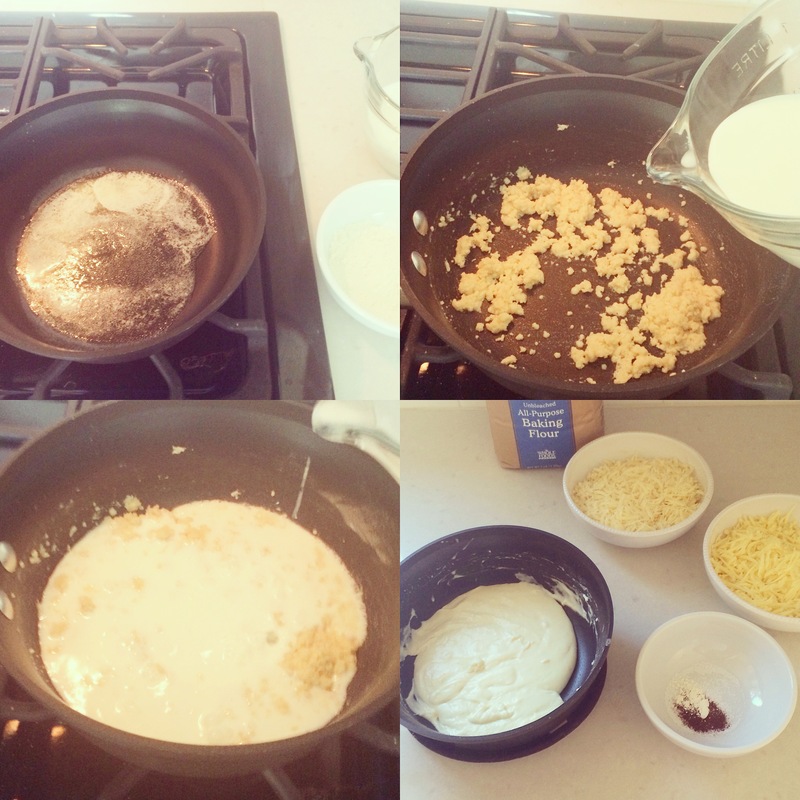 Melt the remaining 2 tablespoons butter, combine with the fresh bread crumbs, and sprinkle on top (I like to melt the butter in a frying pan, add panko breadcrumbs, and toast before topping the casserole with them). 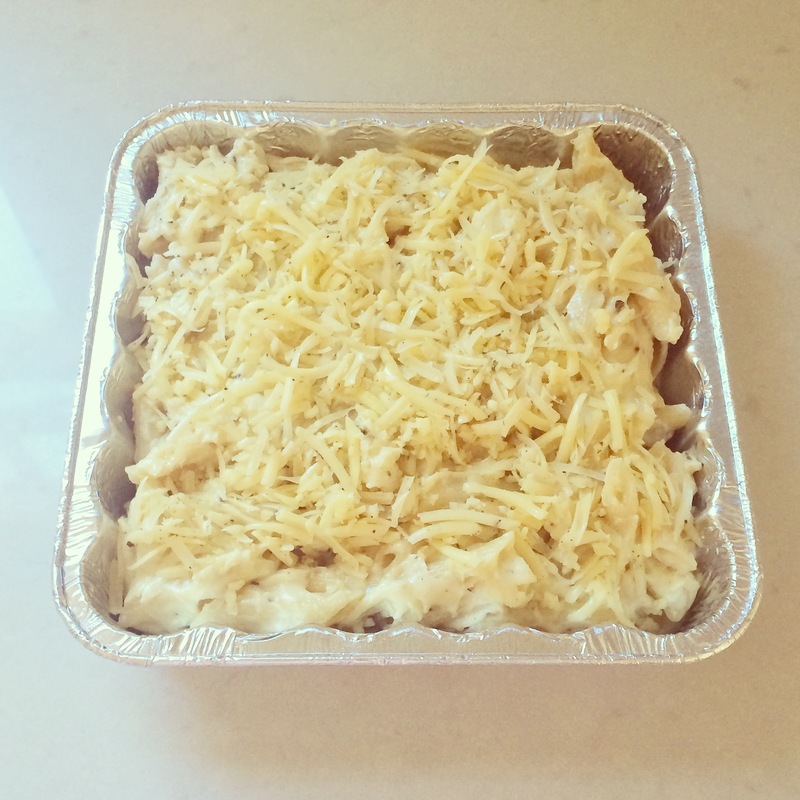 Bake for 30-35 minutes, or until sauce is bubbling and casserole is browned on top. So I just did a quick count, and it turns out this is my 13th Friday Faves post. That means I’ve come up with 65 things to be excited about in the last few months – the better you know me, the more you realize that’s a pretty big accomplishment for my sometimes-not-quite-so-excited little self. And they haven’t all been pictures of my Glassybaby or J.Crew sale finds, even! 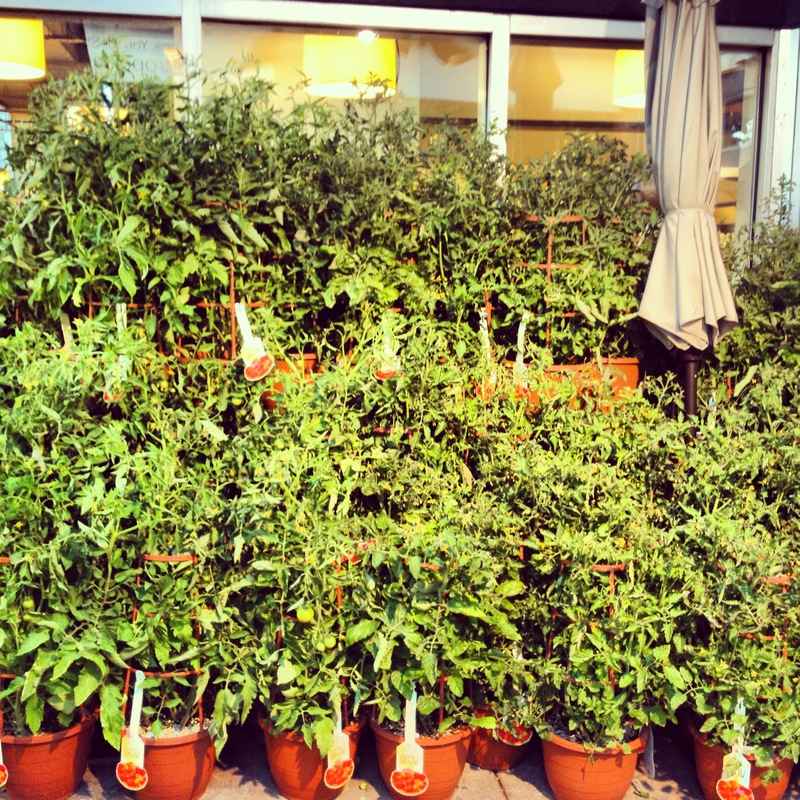 Tomato plants on display at Met Market – I would kill for more sun on my deck (or better yet, a full-sun backyard) so I could plant a “salsa garden” like Martha Stewart. 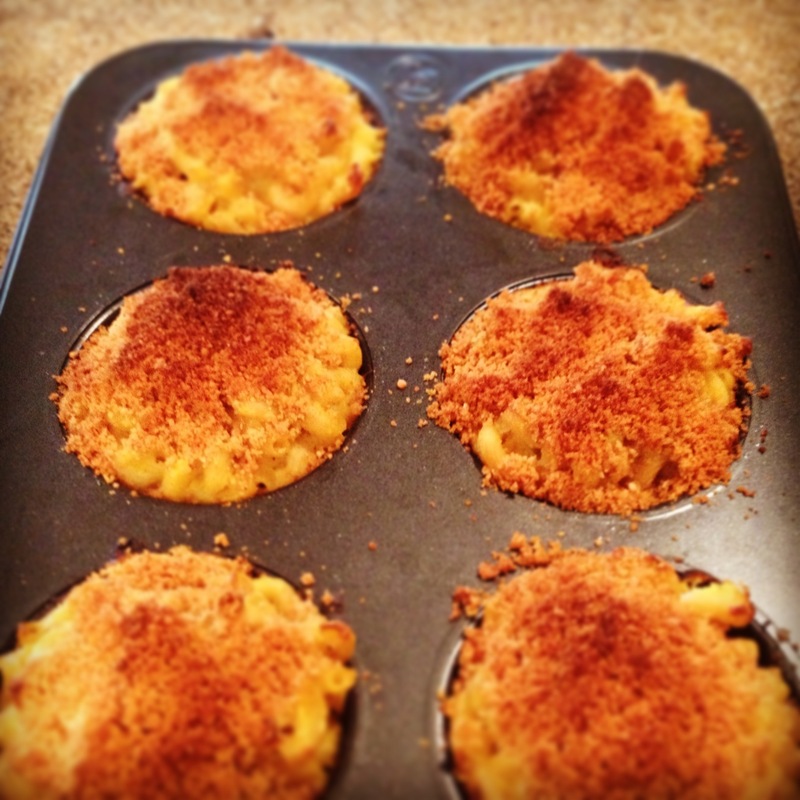 I’ve been cooking a lot of freezer meals for my grandparents – baking mac and cheese in muffin tins is a fun alternative to a normal casserole dish, as you can just pop them out, wrap them in foil, and stick pre-portioned meals into the freezer – easier to store and to use. 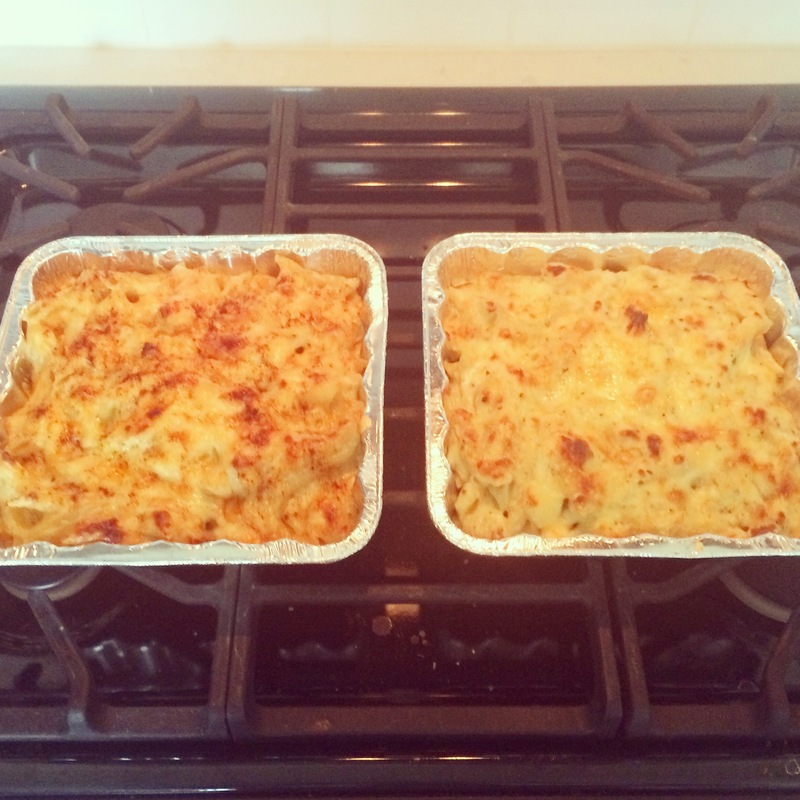 For bigger portions/appetites, this “jumbo” tin works great. 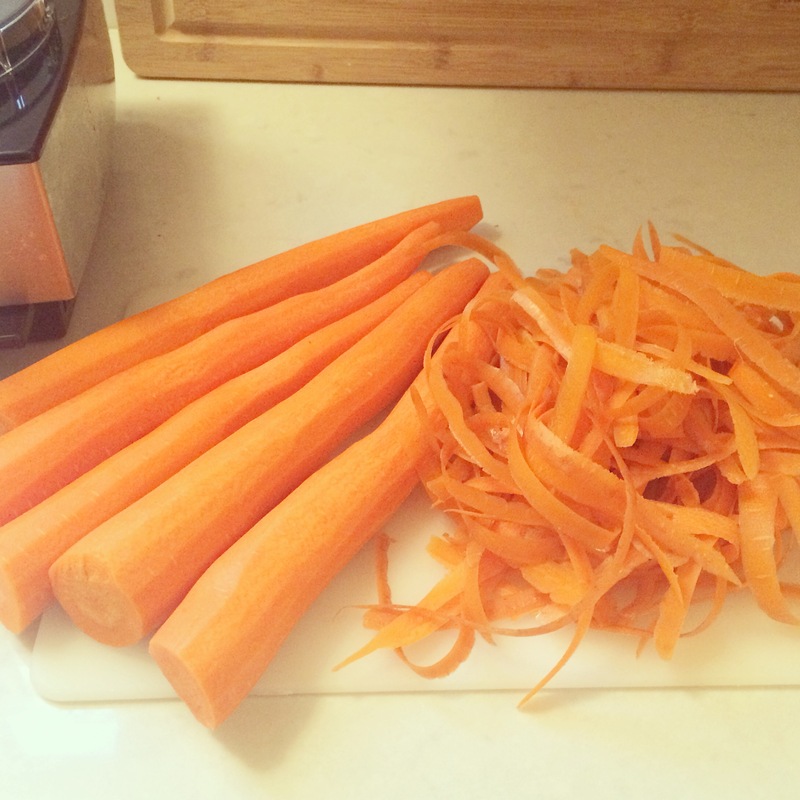 I used this recipe (healthy-ish and always a big hit), but you could do anything you like. 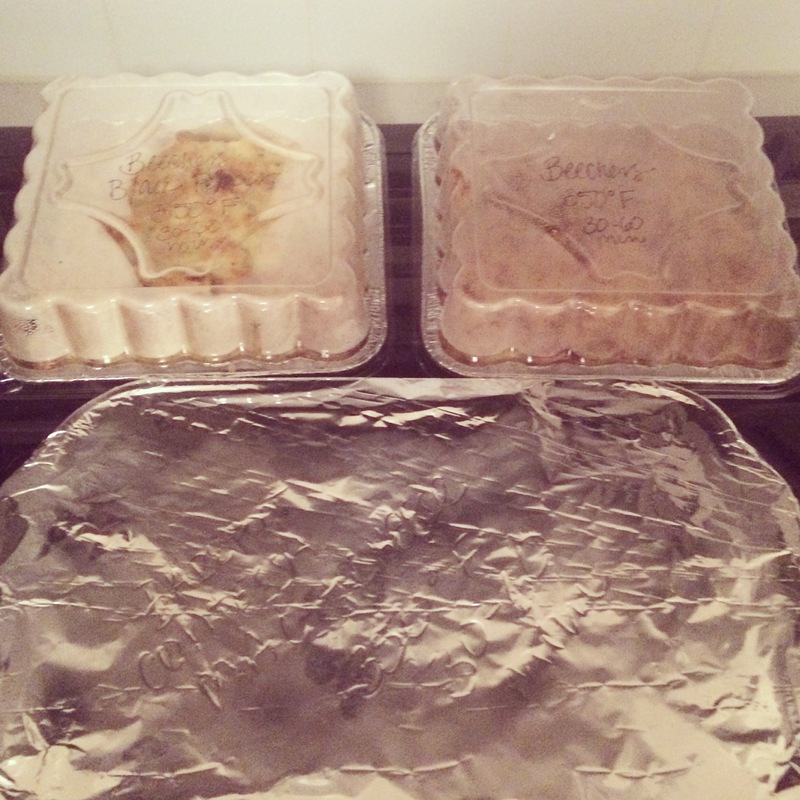 If anyone has any good ideas for freezer meals – I have a lot of new moms to bring dinner to as well as Grandma and Grandpa – I would love to hear them in the comments. So, this is happening. 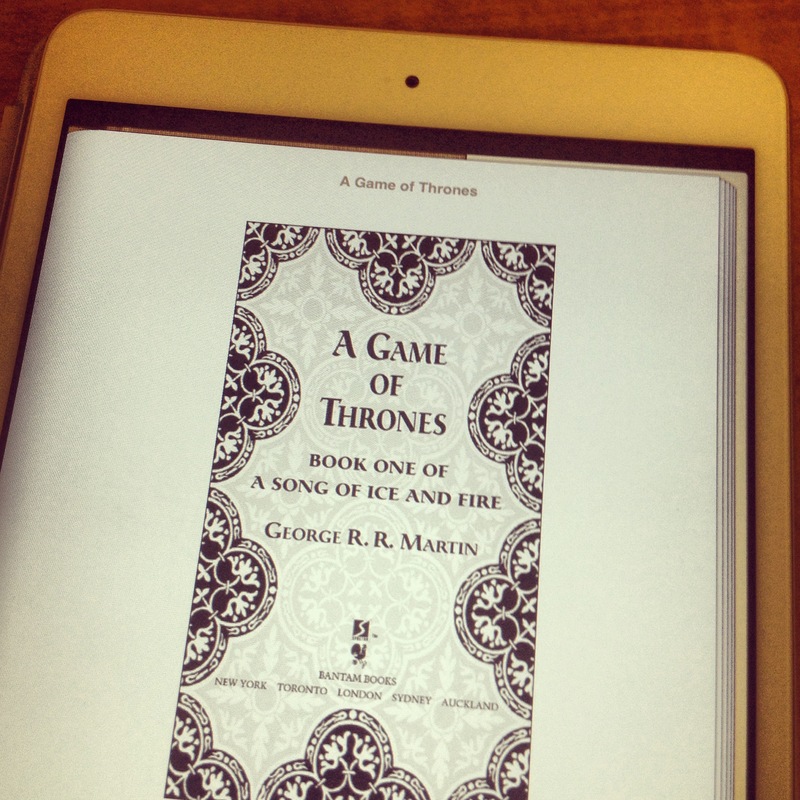 I’m officially a Game of Thrones nerd. Please no one talk to me or try to put anything on my social calendar for awhile – I’ve got something like 5,000 pages to get through. Has everyone discovered Rent the Runway yet? 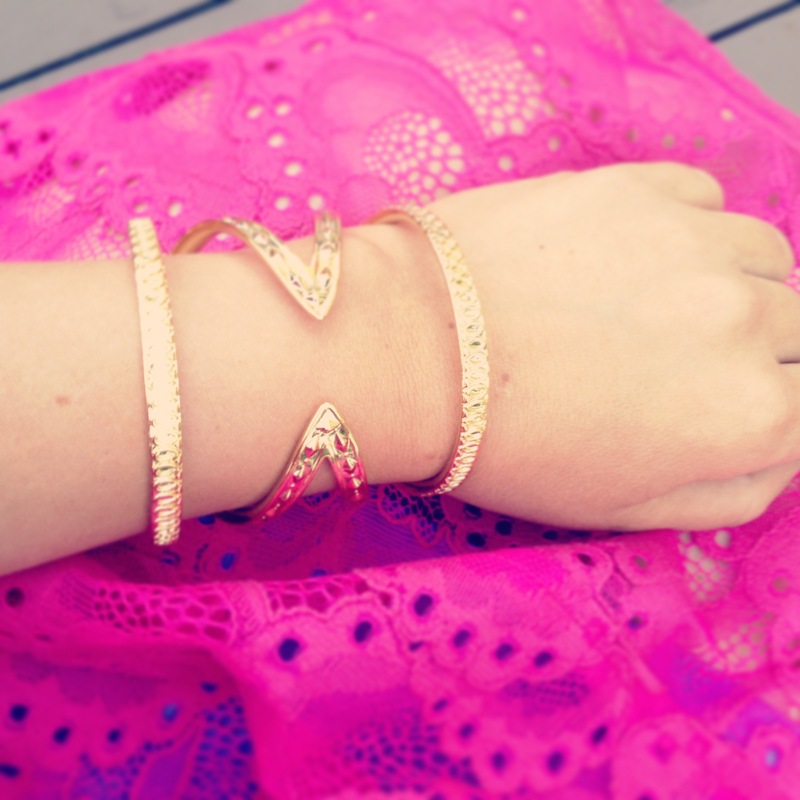 I wore this Nanette Lepore pink and purple party dress and House of Harlow bangle to my brother and soon-to-be-sister-in-law’s “fiesta” couples’ shower last weekend and both were big hits. And on Sunday morning, I just shoved them into a pre-paid envelope and dropped them off at UPS. So easy and so fun! For anyone who has ever wondered if you can mix vodka and champagne: the answer is yes. Maybe this was already obvious to you, but I had never thought of it. This fun cocktail (I wish I could remember the name – something mure?) was vodka, champagne, blackberry liquor and lime – it’s like a high-end version of the beer-vodka-crystal light concoction we used to make in college, except served in a champagne flute rather than a cooler. 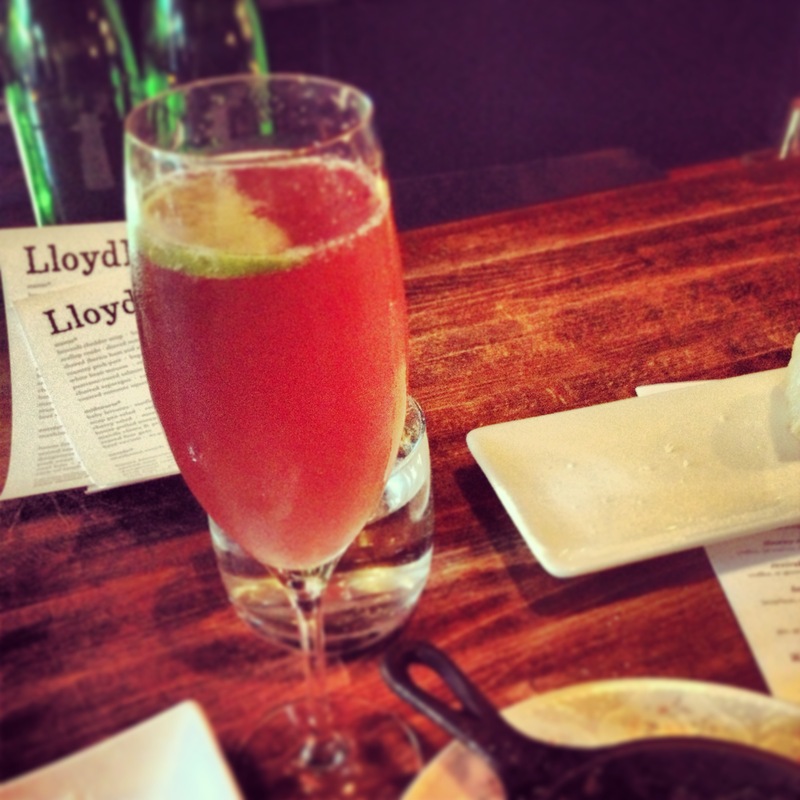 Delicious and classy – is it time for happy hour yet? So, that’s 61-65. And now we’re that much closer to 5 pm (or whenever your weekend officially starts – I hope its sooner). Wishing you all a fabulous Friday and a sunny weekend !